To learn how to crack GATE exam in first attempt is probably the toughest challenge that students face.GATE (Graduate Aptitude Test in Engineering) Exam is a highly competitive entrance exam amongst the students of engineering and science graduates. It provides the engineering and science graduates to take admission in the prestigious engineering like IITs, NITs, and other colleges to take admission in the postgraduate programs. The candidates are also provided with a small stipend by MHRD. Apart from that, there are lots of opportunities after gate exam that varies from prestigious organizations like NTPC, BHEL, GAIL, ONGC, HPCL, etc. In order to know how to crack gate exam, first thing you should know the syllabus.The GATE exams questions are based on the knowledge of Engineering gained over a period of 4 years and you are tested on the basis of the some. In Spite of the vast syllabus of the Engineering exams, you need to lay focus on only the prescribed GATE syllabus. Having a proper idea of the syllabus can provide you with the idea of what needs to be followed and what doesn’t need to be followed. Identifying the pattern of the GATE exams helps in how to crack the GATE exam in first attempt. GATE exam consists of 65 questions of 100 marks. The question paper consists of multiple choice questions and numerical answer type questions. The questions range from the general aptitude, engineering mathematics, and subject-specific sections. Engineering mathematics carry around 15%, general aptitude carries 15%, and remaining 70% marks is devoted to the technical section of the paper. It is necessary that you get a proper idea of the type of questions that are asked. This can be done by getting through the previous year question papers. This can help you to get an idea of what questions are expected to be asked in the future exams. Based on the same, you can also know about the topics that are asked frequently. This can help you to prepare for the important topics and score higher with quite a little effort. To create a concreate plan on how to crack gate exam, you need to make a proper timetable for routine preparation. GATE exam has quite a vast syllabus and requires the users to have a thorough understanding of the concepts of the 4-year syllabus. Covering the GATE syllabus is quite a tedious task. Hence it becomes necessary that you start your preparation at the earliest. Based on the time in hand, you need to make a proper timetable so that you are able to cover the syllabus in time. Plan your syllabus on a weekly basis and make sure that you are able to cover the same in time. It is advised that you specify ample time for revision and practice. This enhances your retention of the subjects thereby enhancing the chances of your success in the exam. Also read the Important GATE Preparation Books. After having known the syllabus of the exam, the pattern of the exam and pattern of the questions it becomes necessary that you start your preparation properly. The resources form a major part of the preparation. Hence it becomes necessary that you have a proper idea of the textbooks and the online resources. This can be done with the help of reading standard textbooks that are prescribed in your college. However, in some cases, you may find that some questions cannot be answered by the knowledge of textbooks. In such cases, it becomes necessary that you accompany the textbook with the help of online resources. There are various videos lectures, coaching notes, etc. that can help you to get knowledge with the help of different topics that are not covered in the textbooks. However, it is necessary that you remain confined to the syllabus and not deviate from the same. You can find out some amazing resources online as well. Also checkout the best educational apps for learning. It is quite necessary that you have a proper idea of your work progress. It can help you to know how far you have progressed in your preparation. There are a large number of resources available that can help you to track your progress in the exams. It can also help you to understand the concepts and help identify your weak areas and make sure that you are able to rectify the same. It is advised that you solve these more and more to gain proficiency in the exams. It must be done on a regular basis so that you are able to solve more questions in less time and score higher thereby enhancing the chances of your success in the exams. In order to test your mock test and identify your weak areas, it is advised that you go take mock tests on a regular basis in the exam like conditions. There are a large number of institutes that provide you this facility. Since nowadays the exams are carried out online, hence it becomes necessary that you select the institute that provides you with these facilities. It can also help you to test your speed and accuracy. Based on the result, you can identify whether you need to work on your speed or accuracy. There are various institutes that provide you the facility to take online mock tests. You can take such tests on your own PC. Also Checkout Importance of GATE Mock Exam. In order to revise properly, it is advised that you prepare notes regularly. Notes also help you to revise the concepts faster and better. It is advised that you prepare short notes that can be revised easily at the time of exams. These also reflect your year-long preparation and help you to retain the information faster. 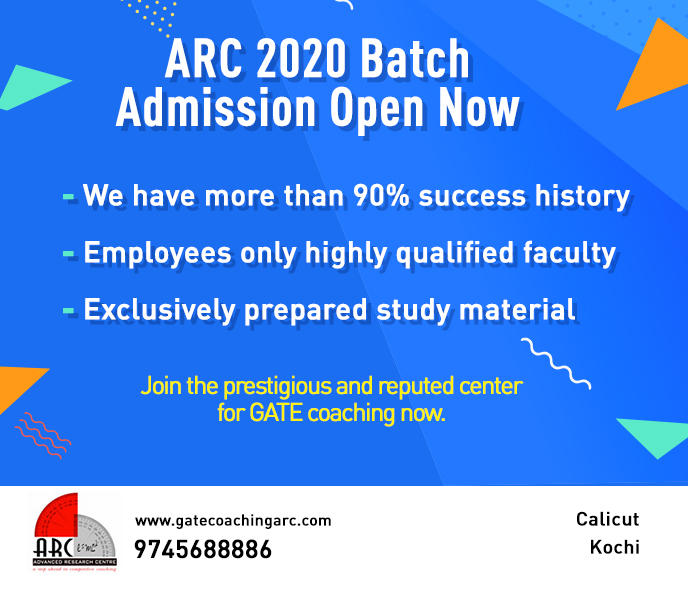 GATE coaching institutes also play a considerable role in the preparation and enhance the chances of your success in the exam. Here you are trained by the experts who have years of experience in the GATE pattern and the syllabus. Apart from the same, you are also provided with various other resources like study material, test series, etc. The study materials are prepared to cover the entire syllabus so that you do not need to look for the resources anywhere. The test series also help you to test your progress and help you to test that you are on the track. Although GATE being a tough exam, it is quite easy to crack the exam in the first attempt if you follow the guidelines mentioned above. The above-mentioned tips can also help you to score higher marks so that you are able to get in the top colleges and companies of your choice.